When it launched onto the beauty market all those years ago, Prevage changed the face of anti-ageing products – and of the millions of women who rushed out to buy it after hearing word of its unapologetic effectiveness and high performance formula. Since then it’s expanded from a single killer product to an impressive line, always innovating and adding to its portfolio. Hitting the counters on October 31 are the latest additions to the family, Prevage Night Anti-aging Restorative Cream and Prevage Day Intensive Anti-aging Moisture Cream SPF 30. Designed to work with your skin’s needs and natural rhythms day and night, they are two new high performance moisturisers with high powered antioxidant Idebenone to help combat the visible effects of environmental stress and repair the look of skin. In this dynamic duo Idebenone is delivered in a targeted and highly effective way through an innovative delivery system that fuses it with a skin compatible ester to provide a time-release reservoir of Idebenone on the skin. This means that it not only helps to protect skin from the damaging effects of environmental assaults, but also helps to support the skin’s natural repair process. Perfect for dry and dehydrated skin, the day cream is intensely moisturising and diminishes the appearance of aging signs and existing sun damage like fine lines, wrinkles and discolourations. It has broad-spectrum UVA/UVB sunscreens to help shield from the sun and an SPF rating of 30. 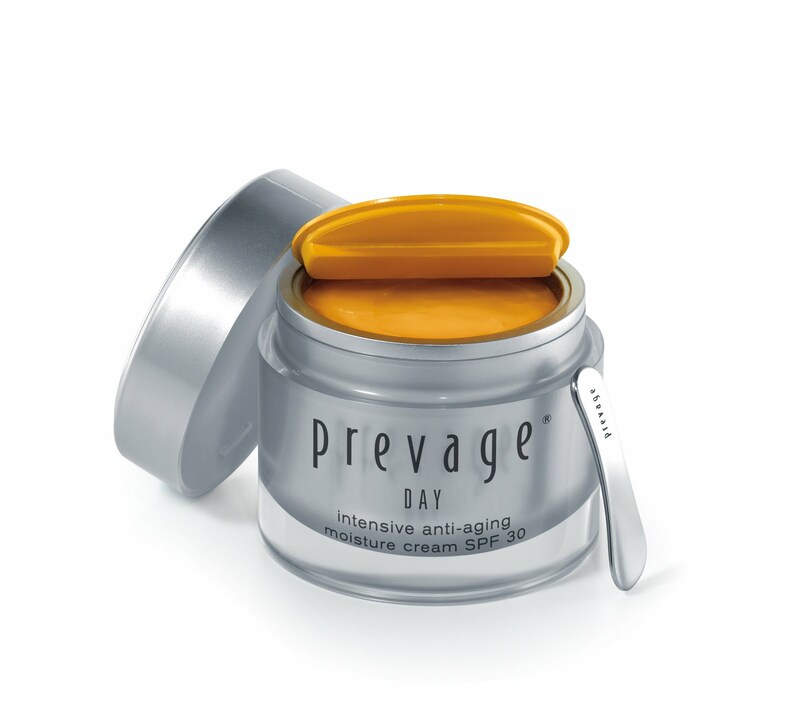 Used alongside Prevage Face Advanced Anti-aging Serum it promises some serious results.